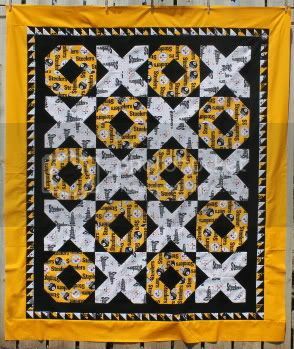 The Steelers Quilt top is done! And almost in time for football season! 42/42 Sunkissed Jewel Box blocks pieced. I'm working on the layout - separated the blocks based on the four-patch colors. The first picture is a circle of pink, then grey, then alternating yellow/orange. 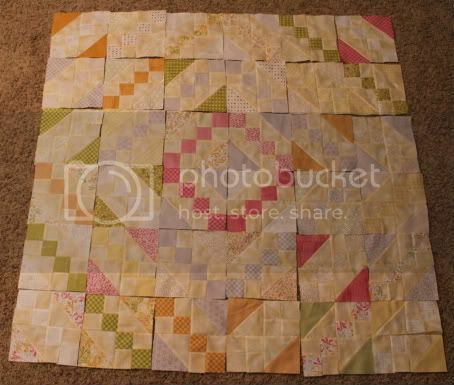 The second has the circle of yellow/orange as their own halves of the quilt. I may switch out the yellow for green - the yellow is very washed out. It's nice to have a project where layout doesn't matter. 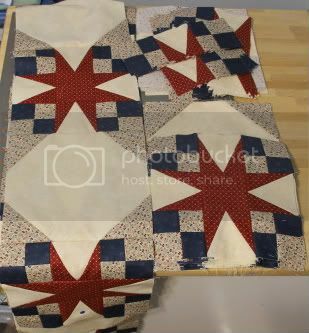 I can piece the rows while I finish the four-patches for the last star blocks or the corners on the snowballs. 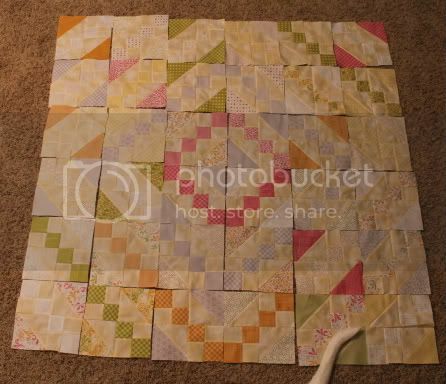 By the time I piece the last block, the quilt will be almost completely together.